If you had asked me what I thought the end of the season would look like going into Week 5, I would have given you a very different picture than I would now. Only one team remained the same in the top 10. Florida moved up 14 spots, UCLA dropped 13, Four top ten teams lost, and five teams received first place votes. Is there any point in making predictions and rankings anymore in a season that has already been defined by its unpredictability? Of course there is. That’s what gets us through the week. But the point remains: this sport is defined by upsets as much as anything, and going undefeated is pretty darn hard. Ole Miss looked normal in their win against Vanderbilt, but weeks 1 through 3 were as impressive as any I’ve seen. Michigan State looked like they could have an easy run through the BIG10 and beat an Ohio State team that has yet to look like a number one program. Notre Dame was firing on all cylinders and CJ Prosise was a quiet Heisman sleeper. Utah manhandled Oregon in a way that made me think they could play well against any team in the PAC12. And now? Truthfully I’m insecure in every prediction I make anymore. My confidence has been shaken. I approach each week unsure and nervous. Don’t get me wrong, I love it, but it doesn’t help my credibility as an amateur college football writer (emphasis on amateur). Still a little bold perhaps, but with what we’ve seen through five weeks, any guess is as good as any other. 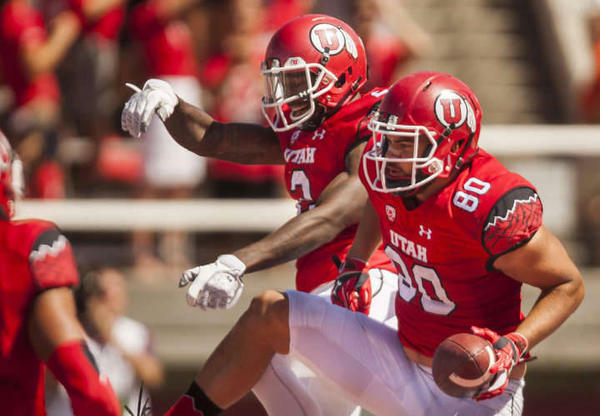 Utah → The Utes were more than impressive against Oregon (I know I said it once but I think it bears repeating). This Saturday’s game against #23 Cal will be exciting and besides games at USC and home against UCLA, the Utes should comfortably win out. Plus their win against Michigan keeps looking better and better. Clemson → I think Notre Dame was their toughest game of the season. The case could be made for their matchup against Florida State, but not if the Seminoles keep playing like they are. I see no reason they shouldn’t go undefeated the rest of the season. LSU → I know that they have a poor passing offense and that they didn’t look as talented as they should have against Syracuse and Eastern Michigan and that if Leonard Fournette gets hurt (knock on wood, let’s hope he doesn’t) they’ll drop way off. They are on the road against Ole Miss and Alabama which doesn’t help either. BUT no one will go undefeated from the SEC since every team loses to each other and LSU has yet to get that first loss so I guess they’re my pick by default. Notre Dame → I thought they would win in Death Valley on Saturday. And maybe they should have. They won’t have four turnovers in the second half of every game and I still think they can win out. If Clemson goes undefeated and the only loss for the Irish is against an undefeated team, they may sneak into that last spot. There’s a lot that can happen this college season and I wouldn’t be surprised by any outcome. Later this week we’ll explore some fun scenarios that, while unexpected, are not out of the realm of possibility. After all… it is College Football.